I’m a big scent person. The most delicate whiff of toasted coconut makes me think of baking thumbprints with Mother Lovett at Christmas time, and when I come across one of those old school perfume kiosk things in a Walgreens or drug store I always search out White Diamonds because my mom used to wear it when I was little. When Bath and Body Works opened up in our mall (um, I still remember this) I was fanatical. I don’t even know if I was 10 years old yet, but my best friend and I would practically beg our moms to take us, then we would come home and videotape ourselves making a TV show with our purchases. I’ve always favored fruity, vanilla, coconutty or musk scented products, as anything with the slightest hint of florals makes me sneeze 63 times in a row. And thats only if I’ve taken my Claritin. My first big girl perfume was Sunflowers by Elizabeth Arden… oh dear, was I ever obsessed. I’m pretty sure Sunflowers began the whole 90s obsession with actual sunflowers for me. I may or may be hoarding half a bottle in my dresser drawer just because I like to smell it occasionally and be transported back to the 6th grade when I work silk shirts. Along with my straw hat with a big, poofy sunflower in the center… that I never put on. In college and the few years following, I dabbled in Armani Mania, Armani Emporio, Dior Hypnotic Poison, Dolce and Gabbana The One, Hanae Mori and Vera Wang Princess. Some young adults dabbled in drugs… I stocked up on perfume. I don’t think I ever bought the same bottle of perfume twice as I bore extremely easily, until Chanel Allure. The 2nd bottle is still sitting half full on my dresser too. Old habits die hard… but I occasionally still wear it. The past few years I found my signature fragrances, and am still in lust in Prada and Burberry Brit. If these are even discontinued, I will cry cry cry. I’m currently on bottles 4 and 5 of both, but since I can’t just stick to one scent, I switch them up – sometimes every day, sometimes every week or even month. I’m not a huge fan of body sprays – I find that most of them have an alcoholy smell, the scent never lasts, and I don’t like smelling like a 14 year old girl. But I usually keep one on hand for in the car or after the gym – and that’s what this little bottle is replacing now. [BTW, many of you were asking about those Tokyo Milk products from last week’s post – I got mine in a little boutique in Michigan, so check out the website and store locator!] In high school, I was obsessed with Victoria’s Secret Amber Romance and Love Spell, and both of those scents remind me of friday night football and the like. So now I’m wondering what scents you love + wear, and the ones that transport your back in time, like how my mom wore Passion in the 80s. That reminds me of big hair and shoulder pads… which my mom still stuffs in her tops. Mr. How Sweet wears Burberry Touch – he’s been wearing that since we met. Every time he tries to switch I throw a complete conniption and make him buy a new bottle of Touch. If that isn’t love, I don’t know what is. SO… tell me about your scent! 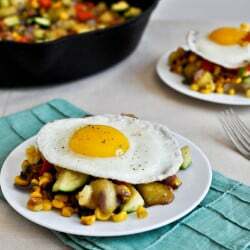 Grilled Corn Summer Breakfast Hash. S I too have always had a passion for smelling good! I can definitely relate to how certain scents bring you back.. In elementary school I loovveedd those Juice Bar.sprays! I had the cotton candy one and the gummy bear one I think it was called? My godmother also boughtme Sweet Honesty by Avon, butI wasnt into it then. inside the hour, or take these individuals on their own no put in advantage to obtain issues coming. Just found a new scent I love – Tokyomilk Bittersweet #83 – it has scents of cake flour,dark cacao, and other yummies! Great page! We share almost the same opinion on the best perfume. My personal favorite is Channel No.5. Excellent info here, I am currently doing some research and found exactly what I was looking for. Thank you! Your site is really nice and unique. This is one of the best ideas that you had come up for the people and I do hope that they can have better future. Fantastic blog you have here. You’ll discover me looking at your stuff often. Saved!